FltPlan.com understands the growing needs of safety and efficiency in General Aviation and is continually improving the FltLogic Scheduling System to address those needs. Here's an overview of new features and program improvements. There are several areas of the program where schedule-related information is stored, for example the duty time and time off areas. 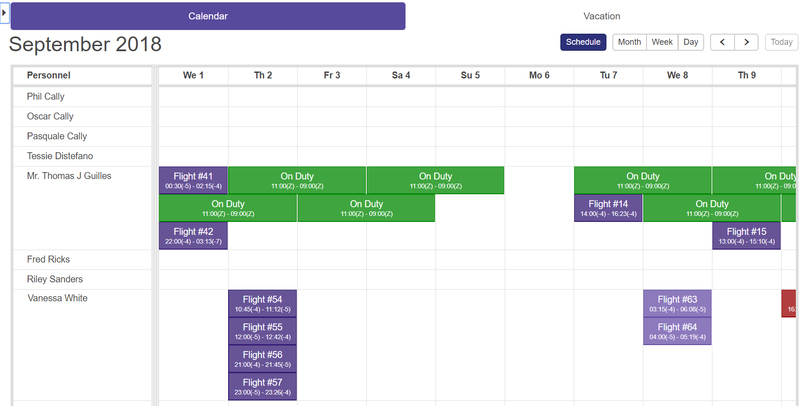 To give companies an overview of the flight department, we've added a Staff Schedule which will combine the information from current events with the duty time schedule and the time off schedules of all personnel. We've expanded the Pilot and Aircraft Currency to include Day Landings, Night Landings and Approaches by aircraft type. We've also added a small calendar icon in yellow and red to indicate upcoming and expired currency in the event list and calendar views. Adding new passengers has never been easier. You can now add passengers to a Temporary Passenger Database during event creation. Passengers stored in the Temporary Passenger List can easily be converted to a regular user at any time. To store a temporary passenger in the database, click on the "plus sign" next to the persons name on the trip sheet view. 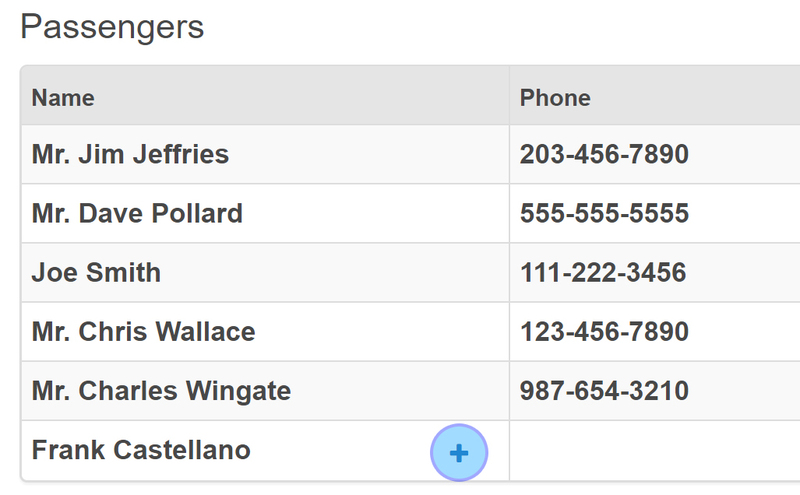 To use this passenger again, simply start typing his/her name in the temporary passenger name field of the next trip. With our implementation of activity logs, administrators can easily identify changes made in the FltLogic Scheduling System by username, date, time and event. The administrator can access the activity logs from the top of the user list. Click on the icon for the activity log to the right of the Search and Filter button. We've had great feedback on the ability to customize the information displayed on the calendar. To make the calendar even more user friendly we've added one more feature – the ability to view your trips by leg. When you turn on Show Legs, instead of your trip spanning the full length of the trip, each leg will show on the day of flight. Staying on task has never been easier than with FltLogic's newest integration: FlightDocs Maintenance Tracking. FlightDocs incorporates color-coded status indicators, allowing users to easily identify key maintenance data pertaining to daily flight operations. Aircraft linked to the FlightDocs system will have an overview of the FlightDocs dashboard on the Aircraft List and on the FlightDocs tab in each aircraft profile. The FlightDocs tab has additional information on the APU and Engines as well as detailed information about upcoming maintenance events. New users interested in using FlightDocs for maintenance tracking will need to sign up with FlightDocs here or by calling 1-800-747-4560. Several companies use the Calendar Only view in the flight department office. 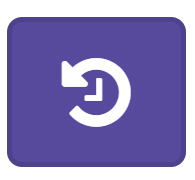 We've added a way to prevent the program from logging out automatically. To use this feature, click on Users, click on your user profile, select the Disable Auto-Logout checkbox and click Update. Any SIFL reports created for trip in this period will need to be RESUBMITTED to update the SIFL rate. If you are not running the above version, please delete the app and install the latest version. The FltLogic Team, Denise, Paul, and Rena, are available for demonstrations, training and technical assistance weekdays from 9:00 am to 5:00 pm EST. Using interactive web meetings, we can quickly demonstrate new features and assist with any problems. On-call emergency support after-hours and on weekends is also available by calling (203) 262-8900. Details and instructions on how to use the new features can be found in the Users Manual once you log into your account, under the HELP section. If you would like to schedule a training session on these features, contact the FltLogic Support Team at 203-262-8500 or Support@FltLogic.com. Flight Logic LLC, P.O. Box 159, Southbury, CT 06488 • © 2018 Flight Logic LLC. All rights reserved.